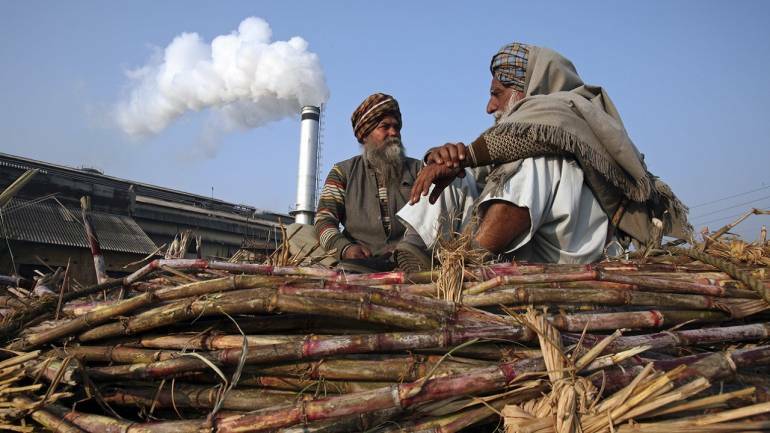 It was evident that sugar mills will not be able to clear cane arrears to farmers. Earlier, the government had rolled out a much lower than expected minimum price of Rs31 per kg, compared to the Rs35-36 per kg that mills were seeking. With arrears pending, the government would have to either take coercive measures to lower arrears, or offer a fresh package of incentives that seemed more likely. That’s what happened, after the union cabinet approved a grant of soft loans amounting to Rs7900-10540crore to sugar mills. Naturally, this comes with a string attached. Mills have to submit a list of arrears payable to sugarcane farmers, with individual details. Banks will credit the amounts directly to these accounts and only the balance amount will be given to mills. To ensure that chronic defaulters are not rewarded, these loans will be given only if 25% of arrears have been cleared. Sugarcane arrears of the 2018-19 season were at Rs20159crore as of 22 February and the government would like to whittle this down, by the time these farmers vote. A farmer who owes money to the banks and is not being paid for cane will be resentful of the government. In key sugar growing states, such as Uttar Pradesh and Maharashtra, the BJP is the main party in power at the state, as it is in the centre. The cane arrears can be halved if mills avail of loans at the higher end of the range. These are short term loans, where the government will subsidize the interest cost up to 7%-10% of the total loan, with the mills bearing the rest for one year. By then, they would have sold their sugar and earned money on selling by-products, and with that liquidity they can repay the loan within a year. That’s a substantial incentive, as the net borrowing cost will be much lower, especially for mills with good credit ratings.Shares of UP-based sugar mills such as Balrampur Chini Mills, Bajaj Hindusthan Sugar and Dhampur Sugar are all up on Friday on this news. The soft loans will help them meet their obligations to farmers without a sharp spike in their finance costs. Mills took a firm stand that current sugar prices don’t justify the high cost of cane and the overhang of elections has forced the government’s hand in extending more concessions. There is still the matter of whether this will be enough to clear their arrears and what if mills go slow in availing of these soft loans. The government could then switch over from incentives to tougher measures. Mills are not likely to do that because unfortunately, they are likely to need the government’s support in the next year as well. Next Post: Should you take this ‘bridge’ to a bigger home?